Jennifer is a lawyer who has been involved with issues of global health for more than a decade. She is past Chair of the Give a Day to World Aids Campaign which has raised more than $3.5 million in the legal and medical communities. She is also deeply involved in Canada’s immigrant communities having worked both as a lawyer and as an advisor in the not for profit sector that serves new Canadians. She has had the privilege of serving as a Bencher for the Law Society of Upper Canada and is the proud co-recipient of the 2011 Lexpert-Zenith Award for Philanthropy that Impacts Children. She also serves on the board of Royal St George’s College. 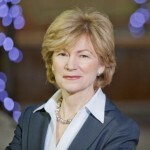 Pamela Hughes is a Senior Partner in the Securities Group at Blake Cassels & Graydon LLP. Her practice focuses on international corporate finance, capital market regulation, derivatives and mergers and acquisitions. As part of her practice, Pam has also undertaken capital market regulatory reform work on behalf of the Canadian Securities Administrators, World Bank, Asian Development Bank and the Canadian International Development Agency. Philip Arthur served with Ernst & Young for 38 years where he held senior level responsibility for several multinational financial institution clients until 2008. He has been a Director of the Standard Life Assurance Company of Canada since October 2009. He also currently serves as the Chair of the Insurance Accounting Task Force of the Canadian Accounting Standards Board. Phil previously served as the Chair of the Board of Directors of the Bridgepoint Foundation and Advisor to the International Accounting Standards Board. He has also served on several other not-for-profit boards, including as Chair of the Board of Trustees of Trinity College at the University of Toronto. Mr. Arthur has Masters of Business Administration degree and is a Fellow Chartered Accountant. Gospel Kazako is a renowned media mogul in Malawi. 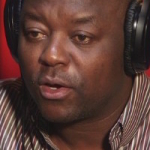 He is the Founder and Managing Director of Zodiak Broadcasting Station (ZBS). Zodiak is privately owned and has been voted the number one radio station in Malawi for the past eight years. The station has won multiple MISA (Media Institute of Southern Africa) awards and has received honours from CNN, the Elders and others. Prior to founding Zodiak, Gospel worked for Malawi’s state owned radio station, Malawi Broadcasting Corporation (MBC) for 7 years. He left MBC in 1998 to set up his own production company Tiakalulu Media Production Studios. In 2007, Gospel introduced the Zodiak Girl Awards, recognizing the best female students in high schools. Gospel holds a Diploma in Journalism from the Malawi Institute of Journalism. Ross is the Head of the Division of Clinical Public Health at the Dalla Lana School of Public Health, University of Toronto. In addition, Ross is the Canada Research Chair in Primary Care Research. At the University of Toronto he is a Professor at the Department of Family and Community Medicine and Dalla Lana School of Public Health, Adjunct Scientist at the Institute of Clinical Evaluative Sciences, an affiliate of the Institute of the History and Philosophy of Science and Technology and a member of the Centre for Environment. He is an Adjunct Associate Professor in the School of Geography and Earth Sciences and Associate Member of the Institute of Environment and Health at McMaster University. Dr. Michael Schull is the President and CEO of the Institute for Clinical Evaluative Sciences (ICES) and Professor in the Department of Medicine (Division of Emergency Medicine) at the University of Toronto. He is also a staff emergency physician at the Sunnybrook Health Sciences Centre and a Faculty member of the hospital’s Clinical Epidemiology Unit. His involvement in international health grew out of his experience as a general practitioner in remote parts of Canada, and at the King Edward VII Hospital in Durban, South Africa. He joined Médecins Sans Frontières/Doctors Without Borders (MSF) in 1991, and subsequently worked in Iraq, Bangladesh, and Burundi, as well as assessing MSF projects in Rwanda, Uzbekistan and the Democratic Republic of Congo. He served on the Board of Directors of MSF Canada from 1997-2002, and as its President from 1997 to 2001. In 2003, Michael joined the Board of Dignitas International, In 2009 he and his wife Dr. Josée Sarrazin and their three kids spent a sabbatical year volunteering with the organization in Malawi. An acknowledged expert in strategic philanthropy, Cheryl collaborates with the firm’s clients in designing effective philanthropic strategies that shift from short-term, less meaningful charitable giving to sustained, focused and high impact philanthropy. In addition to her role with the firm, Cheryl currently serves as the Executive Director of the Michael and Karen Vukets Family Foundation. Prior to joining Michael Vukets & Associates Cheryl was the Director, Corporate Engagement for World Vision Canada. She also enjoyed a 10-year career in senior management at TD Bank Financial Group. She is a frequent speaker on philanthropic issues across Canada, and is committed to transforming the lives of children, and creating societal and economic resilience for marginalized families. Cheryl also serves on the Board of Directors of The Canadian Film Centre and The Art of Time. She is a volunteer on the fundraising committee for the Ontario Friends For The Canadian Museum For Human Rights. Dr. Singal grew up in Bowmanville Ontario and eventually moved to Timmins where he graduated from high school. He went on to receive his medical degree in 1990 from the University of Toronto. He did his postgraduate surgical training in Toronto, obtaining his board certification in Urology with the Royal College of Physicians and Surgeons of Canada in 1995. A fellowship from the University of Western Ontario in Minimally Invasive Surgery, Shock Wave Lithotripsy and Kidney Stone disease was completed in 1996. 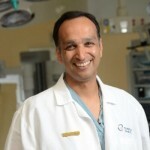 He joined the surgical staff at Michael Garron Hospital (Formerly Toronto East General Hospital) in 1996 and served as Head of the Division of Urology from July 2001 until October 2012. 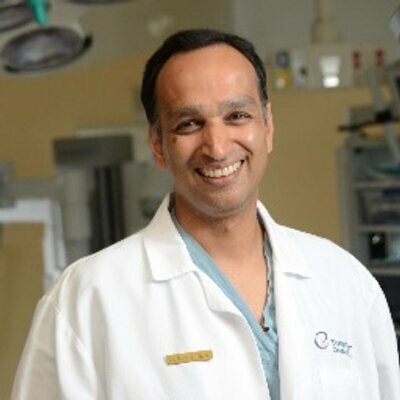 Currently, Dr. Singal leads the Surgical Robotics Program (jointly run by MGH and Sunnybrook Health Sciences Centre) and is an Assistant Professor in the Department of Surgery at the University of Toronto. He supervises the Clinical Endourology Fellowship program at MGH under the umbrella of the University of Toronto and also teaches undergraduate and postgraduate medical trainees. He works on Cancer Care Ontario initiatives related to prostate cancer care and is a member of the Board of the MGH Foundation. Dr Singal continues to spend most of his free time with his wife watching his three kids turn into amazing young adults. Heather Gordon spent the first two decades of her career working with developing companies in the cable television and entertainment industries in Canada, the United Kingdom and Brazil. She served as CFO and Director of Canbras Communications Corp. and as Vice-President, Finance of PS Production Services Ltd. and CUC Broadcasting. She spent the last chapter of her career as VP Finance and then Chief Administrative Officer of the Canadian Institute for Advanced Research (CIFAR), an institute of advanced study that creates and maintains global research networks working on complex areas of inquiry. Ms. Gordon has also served as a board member on several corporate and not-for-profit organizations. She is a Chartered Professional Accountant with a Bachelor of Science degree in computer science. Chikosa Banda is a Law Lecturer at the University of Malawi: Chancellor College. His research focuses on environmental law, disaster risk management, administrative law, human rights and using intellectual property as a tool for promoting the development of drugs used in developing countries. He holds a Masters of Laws in International Human Rights from the University of Essex and a Bachelor of Laws (Honours) Degree from the University of Malawi. 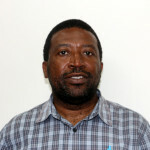 Mr. Banda has served for nearly 17 years as a lecturer at the University of Malawi. He is responsible for teaching Environmental Law, Private International Law and Intellectual Property Rights Law at Undergraduate and Postgraduate levels. He has researched and consulted widely on issues related to environmental law, and also has a keen interest in the regulation of pesticides, hazardous wastes, and other substances in Malawi. Michael Young is President of Quadrant Capital Partners, Inc. which he founded in November 2003. From January 1994 to October 2003, Mr. Young served as Managing Director and Head of Real Estate Investment Banking for CIBC World Markets. Mr. Young was appointed Global Head of Real Estate for CIBC World Markets in 1997. He has been Trustee of SmartCentres REIT (TSX), formerly Calloway Real Estate Investment Trust, since November 2003 and currently serves as Lead Independent Trustee. He served on the Board of Acasta Enterprises, Inc. (TSX) from June 2017 until his resignation in February 2018. Mr. Young was a Trustee and Chairman of the Board of Milestone Apartments REIT (TSX) from March of 2013 until April 2017, when Milestone Apartments REIT completed a “going private” transaction with Starwood Capital Group as the purchaser. He was a Director of Brookfield Residential Properties Inc. (NYSE/TSX) from March 2011 and a Director of Brookfield Homes from 2007. On March 12, 2015 Brookfield Residential Properties completed a “going private” transaction with Brookfield Asset Management as the purchaser. He is Chairman of the Board of Dignitas International (U.S.). Mr. Young holds a Bachelors degree from the University of Western Ontario. He is also a member of Canada’s Sports Hall of Fame. Dr. James Orbinski is an internationally recognized humanitarian practitioner and advocate, as well as a leading scholar and scientist in global health. After extensive field experience with Médecins Sans Frontières / Doctors Without Borders (MSF), James Orbinski was elected MSF’s International President from 1998 to 2001. From 2001-04, he co-chaired MSF’s Neglected Diseases Working Group, which created and launched the Drugs for Neglected Diseases Initiative (DNDi). James joined St. Michael’s Hospital as a research scientist in 2003 and the University of Toronto as an associate professor of both medicine and political science in 2005. In 2004, he co-founded Dignitas International. James currently serves as the Director of the Dahdaleh Institute for Global Health Research at York University, a Professor with the Faculty of Health, School of Health Policy & Management at York University and a Professor (Adjunct) with the Dalla Lana School of Public Health at the University of Toronto. Vanessa Weaver helps companies build long-term value through financial structures and relationships that drive growth, scale and profitability. She focuses on aviation and energy projects in the United States and in developing markets. 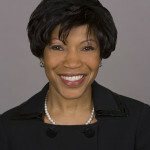 Previously, Vanessa served as a governing director at the Export-Import Bank of the US. She also served as a deputy assistant to the President of the United States in the White House, advising President Clinton on presidential appointments and related legislative and policy issues. Vanessa received her JD from Georgetown University. Tom currently serves as CEO of LOOK Cinemas. Prior to founding Rave Motion Pictures, he served as President and CEO of Hollywood Theaters. He has previously served as Finance Director and Campaign Director for several US Senators. He began his investment career with Merrill Lynch Capital Markets in 1978, later becoming the President of Inwood Capital. In 1987, he formed his own acquisition and advisory group, and has advised a number of corporations, including Parker Medical Associates, ReproGenesis, LLP and Wound Care Partners, LLC. Marguerite is the Owner and Chair of the Custom Food Group. She is an active board member for a range of nonprofits, serving civic, arts and health organizations throughout the United States and in Africa. Marguerite currently serves on the boards of the Hockaday School the Center for Curatorial Studies at Bard College and the Dallas Museum of Art. She is also on the Advisory Committee of the Art Museums at Harvard, the Dallas Women’s Foundation, Parkland Hospital and Planned Parenthood. Marguerite holds a BA from the University of Oklahoma and an MA from the University of Virginia.